Good news for festival goers who missed their chance to get tickets to this year’s first batch of sold out shows: the festival is releasing a limited number of extra tickets on Monday, June 9, at 10:00 a.m.
Thursday, June 5 (Saskatoon) – The SaskTel Saskatchewan Jazz Festival announces additional tickets coming available for sold out shows. As of Monday, June 9 at 10am a limited number of additional tickets will go on-sale for sold out shows at the TD Mainstage, Bessborough Gardens. Shows included are: Ben Harper with Charlie Musselwhite on June 21, John Legend on June 22, Ms. Lauryn Hill on June 25, and Tegan and Sara on June 26. The Artistic Director, Kevin Tobin, explains, “the Festival is pleased that additional tickets have been made available for these performances. These shows sold out early and to have a limited number of tickets come available means more people can enjoy the Festival experience”. 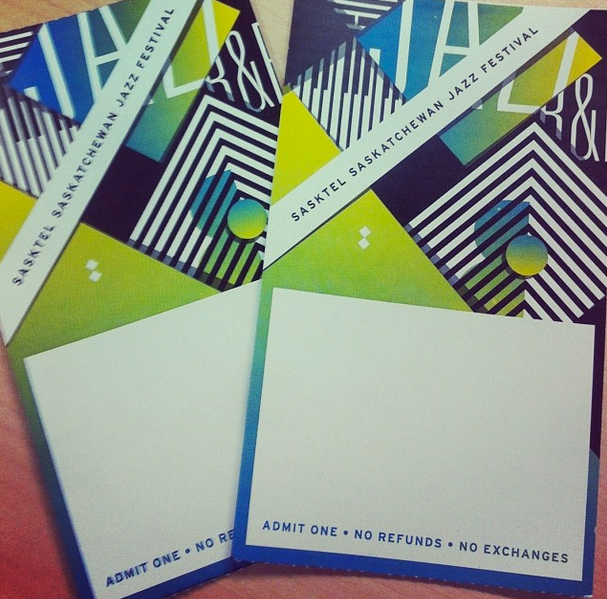 Tickets will be available online at saskjazz.com, through the box office at 306.652.4700 or in person in the lobby of the Delta Bessborough Hotel. If you think you’re quick enough on the draw, grab your tickets online on Monday morning. If you’re a real diehard, you might want to consider heading to the Bess and jumping in line at the ticket booth in person.